We want all businesses throughout the bay to be involved, all you have to do is list a unique offer / discount on your advert in our monthly e-magazine. 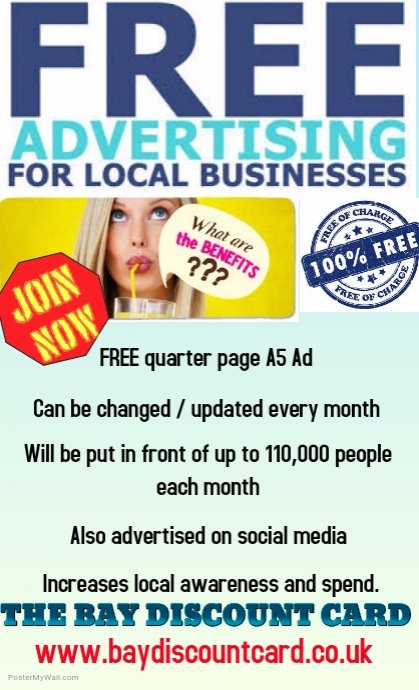 You can use this amazingly beneficial advertising space to shout out to people all over the bay and tell them about you business, We give a quarter A5 page advert to you absolutely FREE every month you list with us. There are other options for bigger adverts but the quarter page advert is always 100% FREE. Most businesses will agree that this kind of local advertising is absolutely perfect for growing new local customers and getting your message to people, sometimes the biggest mistake businesses make is connecting with its local communities. 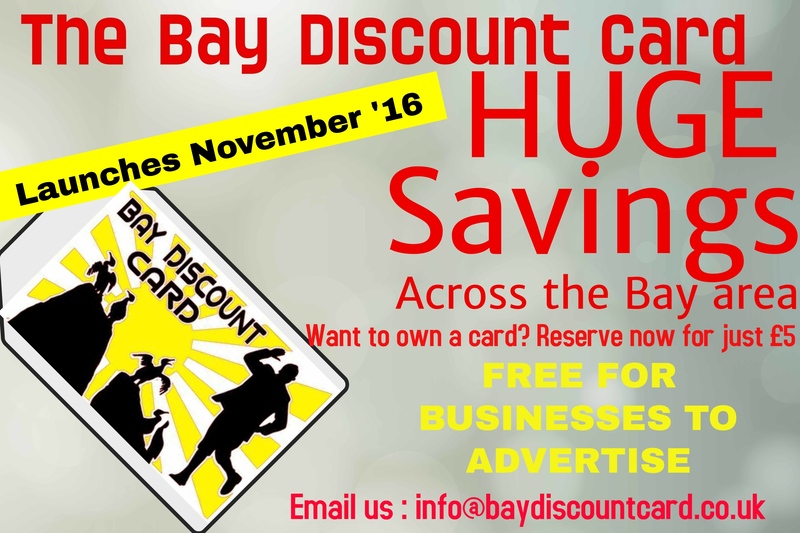 With the Bay Discount Card we bridge the gap between businesses and communities and encourage a buy local mentality and support local trade wherever we can.